A nourishing blend of organic butters, waxes and oils to create a supreme hydrating lip and all purpose balm. 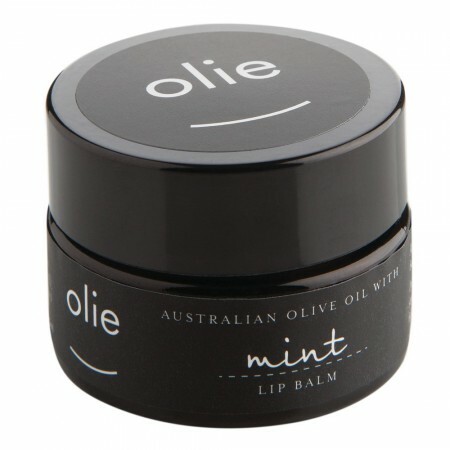 Infused with an uplifting blend of essential oils to soothe, protect and assist in healing dry and damaged lips. Suitable for those with dry and sensitive skin. Potent moisture blend. Made in Australia. 15ml. Made with the finest cold pressed oils, essential oils, cocoa butter & natural beeswax. Super luxuriousness. Concentrated product, ideal for very dry and damaged skin. Multi-use application: can be used as a nourishing eye cream and an all purpose repair balm. Enriched with anti-oxidant rich Vitamin E, a key ingredient in skin repair. Free from synthetic ingredients and toxins. 15ml/ Australian Extra Virgin Olive Oil, Raw Beeswax, Honey, Cocoa Seed Butter, Shea Butter, Avocado Oil, Vitamin E, Spearmint Leaf Oil, Lemon Peel Oil, Peppermint Oil, Rosemary Oil, Tea Tree Oil. 4cm x 3cm. Packaged in a reusable glass jar. View our range of Olieve skin care.